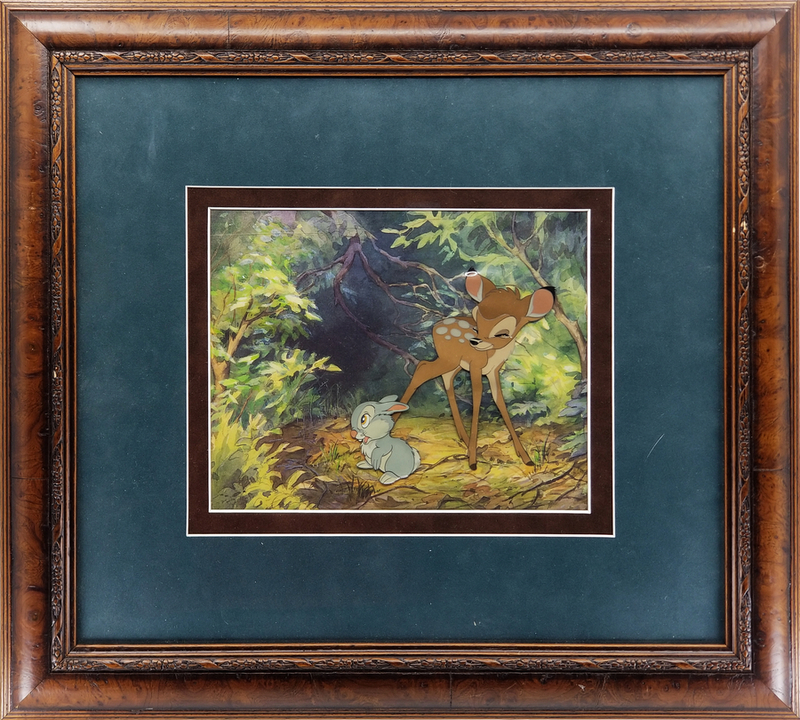 This is an original set-up for production cels from the Walt Disney Studios production of Bambi (1942). 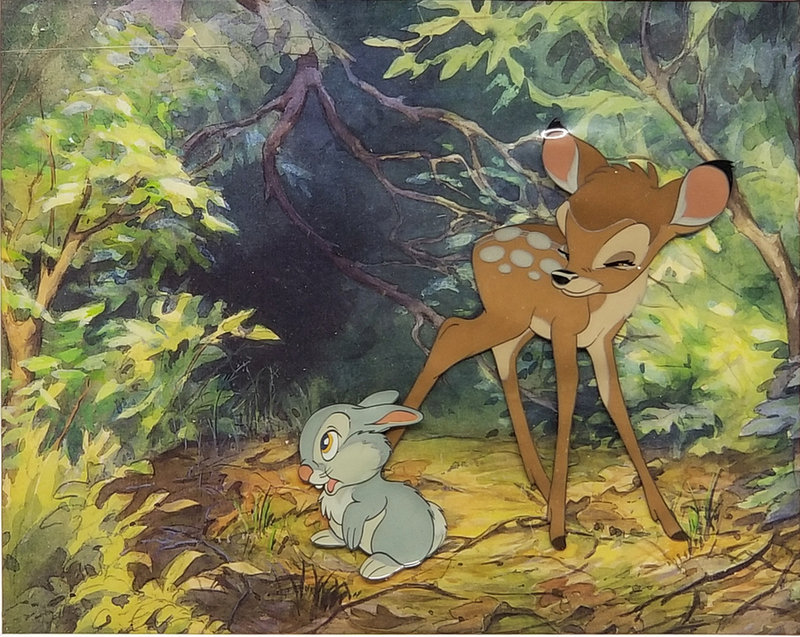 This stunning set-up features Bambi and Thumper and was created at the studio and used during the production of the film. The cels have both been slightly trimmed to about 8.5" x 11" and placed over a color copy background that really brings the image of the two friends to life! The overall measurements of the piece are 15.75" x 17.5" framed with the mat opening measuring 6.5" x 8.5", and the image itself measures 4.75" x 4.75". The cels are in very good condition with some rippling from age but the paint looks excellent.